Free live music from Jelly Bread playing funk, rock, roots, and soul in the Cinnabar Friday, December 21st, Saturday, December 22nd, and Sunday, December 23rd from 3:30 pm-6:00 pm. See full 2018-2019 music line up here. Jelly Bread’s musical alchemy blends a dash of alt-rock with soul and funk, yet is thoroughly steeped in Rock-Americana. The band’s chameleonic playlist is highlighted by dual vocals, four-part harmonies, in-the-pocket drum, and bass grooves, swampy lap steel guitar, dirt under the fingernails guitar licks, and take-’em-to-church organ that is downright appetizing. 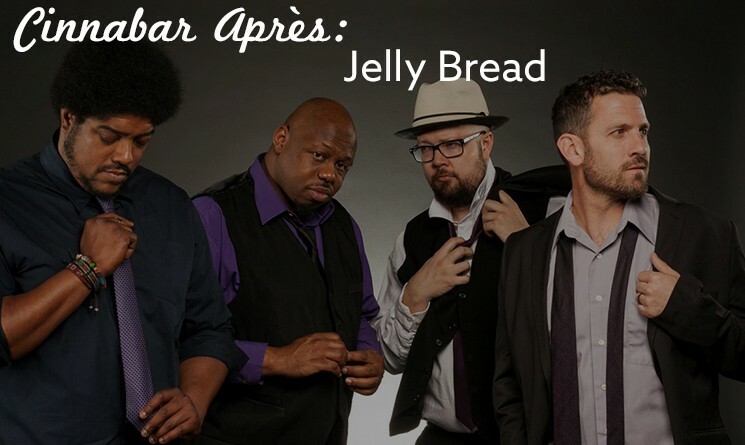 Jelly Bread has emerged with a high-energy calling card that melds elements of desert twang and the urban tones of funk & rock, balanced by exceptional songwriting and storytelling.